The Rebel Sweetheart. : Pucker Up! | Korres Cherry Lip Gloss in Light Purple. Pucker Up! | Korres Cherry Lip Gloss in Light Purple. I don't think I'll ever get used to this waking up at 5am. After that long Christmas break, coupled with the cold weather that makes you want to stay in bed for the rest of the day, waking up early has been quite a feat for me since the year started. These days, I no longer have the luxury to wear full makeup because I'm always pressed for time each morning. There was actually one time last week when I woke up so late that I was forced to take Yue to school with hardly anything on my face - just BB cream and lip gloss on. Que horror, I left the house without 'drawing' my eyebrows, lol! Speaking of lip gloss, here's one that I have had in my stash since God-knows-when but never had the chance to write about. Until now, that is. The Korres Cherry Lip Gloss is a high-shine, full color lip gloss formulated with cherry oil (hence the name Cherry Lip Gloss) that hydrates the lips and keeps it soft and smooth. It also contains vitamins E and C that have anti-oxidant benefits. There are 13 different shades to the Cherry Lip Gloss Line, and the one that I have is shade #23 Light Purple. It's actually more pink than purple - milky pink to be exact, with a hint of shimmer to it. Comes with the usual doe-foot applicator. Swatched once, and as you can see, it's quite pigmented. - They're a bit pricey at 15 euros each. That's $17 or around Php 750. - Not available locally, though I believe Luxola sells Korres on their site. 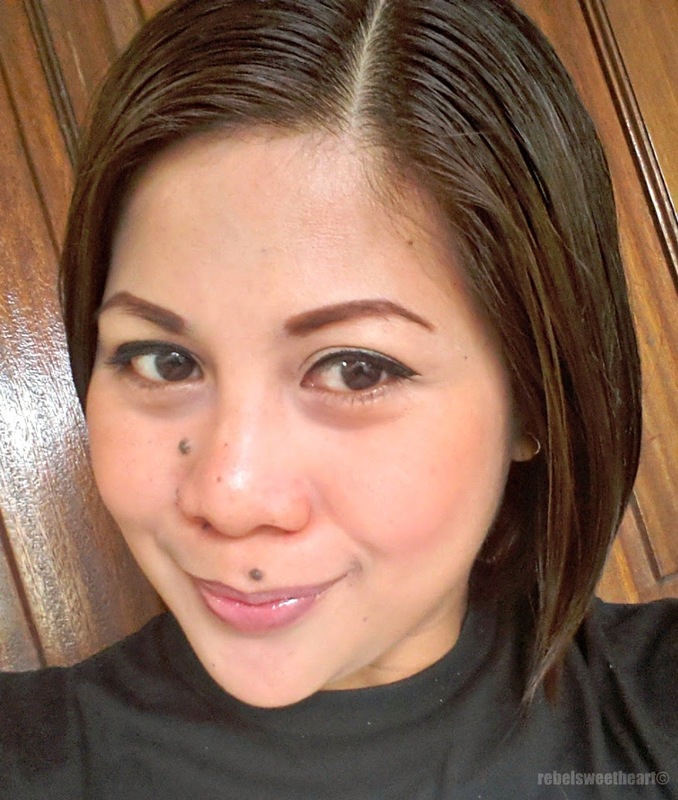 FACE: Laneige Water Base CC Cream in Pure Beige, Benefit Erase Paste in Medium. This looks very nice on you! Love the color and that it contains vitamins E and C.. thanks for sharing! This looks great. I have a color very similar to this and it looks fantastic in the videos. I would love the light cherry flavor. It is a pretty color on you. That's a color I'd have never thought to buy... until now. It looks fantastic on you! This is the color of lip gloss I look for when I buy it. It seems to be more my natural color. I will have to check this out. Thanks for sharing. You look gorgeous in this. It is one of my favorite lip gloss color. Great to know that it has cherry oil, Vitamins and anti-oxidants as well. Thanks for sharing.